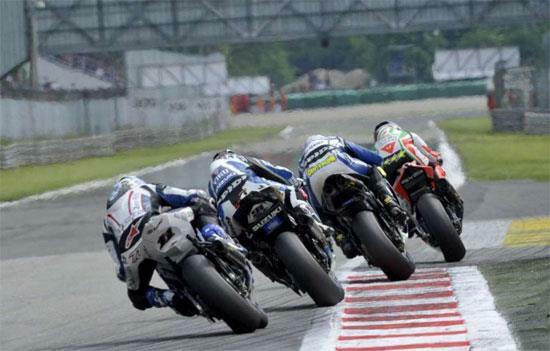 Focused Events are offering a ‘pay as you go’ system for tracktime, pillion rides or tuition at the Silverstone WSB round, July 31st - August 1st. In addition to trackside hospitality for trackdayers, riders can do ‘taster’ rides during the weekend on the internal Stowe track while the WSB boys circle them on the arena circuit. Each track session costs £25 (£35 on Sunday) and for an additional £30 you can either be trained or ride pillion with former GP winner Simon Crafar. On Saturday riders will be able to undertake a Rider Development Day, including the use of a Ducati 848, Kawasaki Ninja ZX-6R, Suzuki GSX-R600 or Yamaha YZF-R6 at the central Stowe circuit. Both qualifying and race day events will be organised around the main on-track action so you won't have to miss any of the racing - especially since Focused have hired the Stowe complex building for hospitality and refreshments with top riders on hand for expert analysis. The trackday on Sunday will also feature a full BBQ. • Pillion rides - with Simon Crafar for just £30. Additional friends and family members can purchase normal passes and view from the hospitality suite. For more information on Focused Events Silverstone Superbike Rider Development Days and trackdays call 0845 0267272, email info@focusedevents.com or visit www.focusedevents.com.